“Like a slave” was how Norwegian Kjartan Sekkingstad described his almost one year in captivity in the hands of the Abu Sayyaf Group. Presidential Adviser on the Peace Process Sec. Jesus Dureza said Kjartan told him that there was not a single day that the Norwegian had dreamt of getting out from the clutches of his captors. He said that Sekkingstad was not fed intentionally by the Abu Sayyaf to weaken him so he could not escape. Thus, Dureza said, September 17 was a “final liberation” for Sekkingstad. Dureza said they worked for the release of the four kidnap victims since day one of their capture on September 21, 2015. He lamented that of the four only two survived — Sekkingstad and Filipina Marites Flor. Robert Hall and Dureza’s personal friend John Ridsdel were beheaded by the bandits after the ransom demand was not met. The kidnappers demanded a P300 million ransom for each of the victims. Dureza revealed that Ridsdel’s family offered money in exchange for his friend’s liberty. 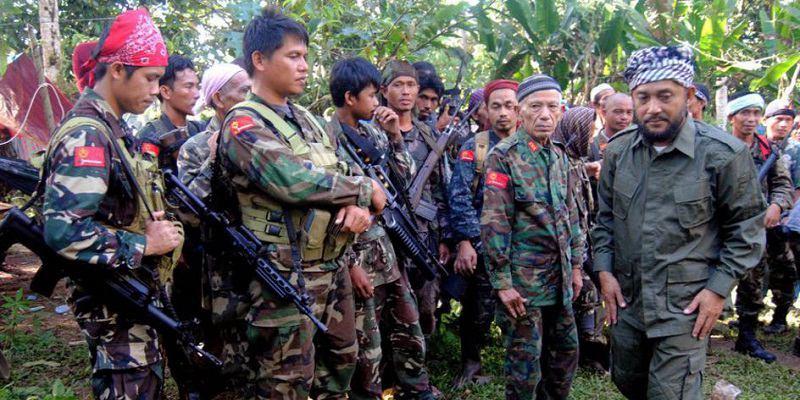 But the Abu Sayyaf did not accept it is was way below what they demanded. Thus, Dureza said, he is not keen on believing rumors that the family of Sekkingstad paid P30 million ransom for the Norwegian’s liberty. The secretary revealed that the rumored ransom of Sekkingstad was just half the amount the Ridsdel family earlier offered but was not accepted by the ASG. Dureza theorized that the real reason of Sekkingstad’s release was because the of the intense military operation against the ASG. “Because of the military operation the ASG have to let go of their “baggage” (hostages) but also there maybe are other factors,” Dureza said. Sekkingstad earlier admitted when interviewed immediately after his release that they have experienced numerous firefights between the ASG and the government forces. The kidnap victim said that one bullet even landed inside his backpack which he is keeping as a memento. Dureza said that when he first met Sekkingstad, his only worldly possession was a backpack with an empty water jug and that the Norwegian was holding on to it like a treasured item. Dureza said Sekkingstad would be traveling back to Norway but the Norwegian promised to return to Davao which he called home for the past 7 years.